Symbol of a Nation, edited by Fred Patten, to launch at Anthrocon 2017. Here’s the first original short story anthology from Goal Publications, Symbol of a Nation, edited by Fred Patten. It will be released at Anthrocon 2017 in Pittsburgh, Pennsylvania over the June 29-July 3 five-day weekend. Find Goal Publications there at F19 in the dealer’s room! 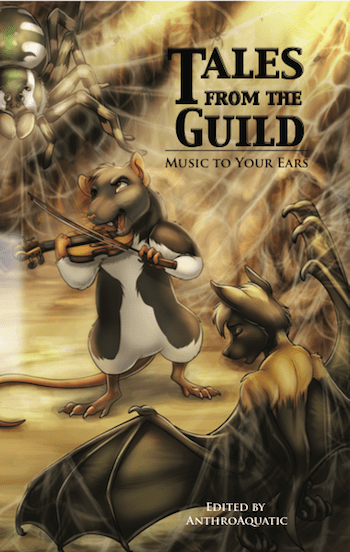 Tales from the Guild: Music to Your Ears – book review by Fred Patten. Tales from the Guild: Music to Your Ears, edited by AnthroAquatic. Illustrated by Blaquetygriss. Las Vegas, NV, Rabbit Valley Books, September 2014, trade paperback $14.95 (133 pages). The FWG created the annual Cóyotl Awards in 2012 for excellence in anthropomorphic literature, as voted upon by the FWG membership. The FWG currently has 101 regular members and 6 associate members; the difference being that the regular members are all authors, while the associate memberships are open to others active in the anthropomorphic literary community such as furry anthology editors, furry specialty book publishers, furry book reviewers, and the like. Now the FWG has started its own anthology series, “a collaboration of the Furry Writers’ Guild”, to showcase the writing of its members. This first tiny (5” x 8”; 133 pages) volume, Tales from the Guild, consists of eight original short stories, edited by AnthroAquatic (a.k.a. Sean Rivercritic), and illustrated by Blaquetygriss (identified on the publisher’s website as Aisha Galland). 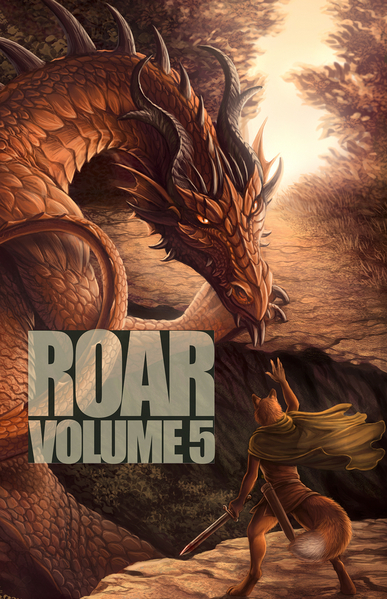 ROAR vol. 5 – book review by Fred Patten. 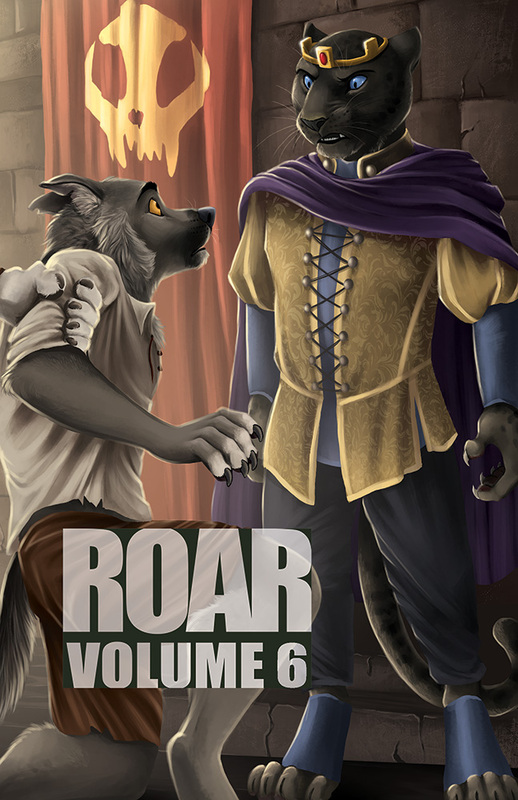 Dallas, TX, Bad Dog Books/FurPlanet Productions, July 2014, trade paperback $19.95 (325 pages). Warning: this is a long review, to cover fourteen stories.